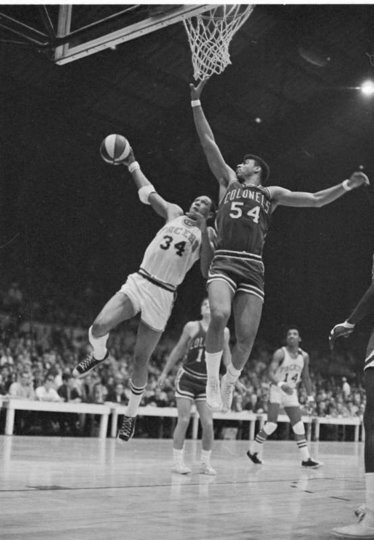 I just got word that the great ABA player Mel Daniels will be inducted into the Basketball Hall of Fame this year. A well-deserved, far-too-late honor. 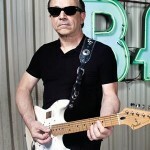 To celebrate, here is a Slam Old School interview with Mel, conducted…several years ago. I WAS A NUT. 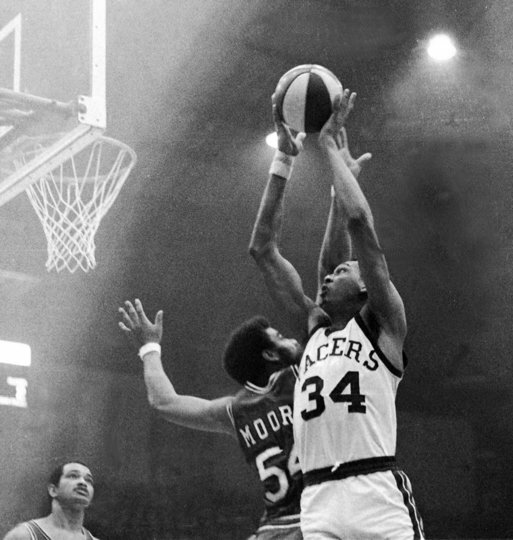 With these four words, Mel Daniels is trying to explain what drove him to be one of the ABA’s most dominant players, a 6-9, 225-pound center who combined athleticism and ferocity, offense and defense, gaudy stats and total commitment to winning. A Detroit native who attended U-New Mexico, Daniels was the ABA’s first Rookie of the Year in 67-68 with the Minnesota Muskies. After that season, the struggling team sent him to Indiana, where he helped the Pacers win three championships. Daniels was twice the ABA MVP, led the league in rebounding three times with massive numbers that peaked at 18 rpg in 70-71. He also scored as many as 24 ppg. 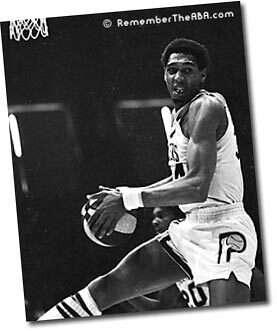 Daniels is the ABA’s all-time leading rebounder and was a seven-time All Star in the upstart league. He was a force in every aspect of the game who would almost certainly be a Hall of Famer if he had spent his career in the NBA. He remains affiliated with the Pacers, as the team’s long time Director of Player Personnel. SLAM: Your rebounding numbers were just insane. Was the key to your success strength, hops, tenacity or positioning? MD: Maybe a little of all of them. I was always a good rebounder but I owe a lot of it to my roommate Freddie Lewis. I was the man in Minnesota and when I got to Indiana and I didn’t think I was getting the ball enough during exhibition games and I told that to Freddie, who was the point guard. He looked at me and said, “I’m having a terrible day. My dog bit me and my car won’t start. If you want the damn ball, go get it off the backboard. I got other things to worry about.” [laughs] And I just figured that if I want the ball, I better go get it. And I didn’t like to lose, so I did everything I could to win – rebound, score, run, defend. SLAM: As one of the ABA’s elite players, describe your feelings about the league. Do you ever regret not having played your prime years in the NBA? MD: I’m ecstatic that I had the opportunity to play in the American Basketball Association. It was an opportunity to be part of something new and exciting and I think everyone who played would tell you the same thing. It was a very competitive situation, but we also had camaraderie because we were all pulling for same goal: to make the American Basketball Association succeed. I have no regrets whatsoever. Both leagues had professional basketball players and we proved our worth every time we had an opportunity to play against one another in exhibition games. We won a majority of those games .It really was an honor for us to play in the league, which led the way for the reemergence of basketball. The ABA really loosened up the NBA and introduced innovations like the three-point shot and the Slam Dunk and other competitions at the All Star Game. And we had all the hot young players. SLAM: Who were your toughest opponents? MD: Zelmo Beatty and Artis Gilmore. They were both bigger than me and Zelmo was more experienced. Dan Issel was also tough because he could step out and shoot the jumper. All three of them were a challenge every time and I enjoyed it even though playing them gave me the absolute blues. 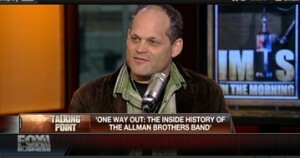 Actually, I hated playing those guys to be honest but I would never, ever let them know that. It was a lot more physical then — we really pounded each other – and you didn’t want to give anyone the slightest edge. SLAM: And you had a reputation as one the ABA’s fiercest brawlers. MD: Well, like I said, I was a nut. I was a head case but I knew my limitations. It was part of that macho thing in both leagues. If you showed that you were apprehensive or afraid to mix it up, people would take advantage so you had to initiate the contact, be the aggressor. Otherwise, people would take you for weak and try to dominate you. SLAM: The ABA also had guys like John Brisker and Warren Jabali, who were famous for initiating fights on a nightly basis. MD: Yes, and Wendell Ladner was another one who would never back down. Those guys played on intimidation but it never manifested itself against us. Brisker and I grew up together in Detroit. And he didn’t try that stuff with me and really no one messed with our team because our whole team was a sick puppy situation — even our coach Slick Leonard. We always said if we didn’t win the game we’d win the fight. We’d play like lunatics and at the end of the game, we’d talk about where the party was. We’d go party together all night after fighting like cats and dogs. That’s another thing that made the ABA unique. SLAM: Roger Brown was swept up in the point shaving scandals with Connie Hawkins – unfairly most would say – and banned form the NBA> He finally joined the ABA at 25 and was a key member of your title teams. Just how good was he? MD: Michael Jordan was blessed by God to play basketball and Roger Brown was the closet person to him I ever saw. I don’t say that lightly. Roger was phenomenal. There was nothing he couldn’t do. He was so quick he would trick people blind – I even saw him miss layups because he was laughing so hard at what he had just done to someone. He had great body control, great hands and a will to win. Now, he hated practice and he really didn’t care for the season until playoff time. He would say, “Get me to the playoffs and I’ll win it for us.” He was unreal in our Finals. 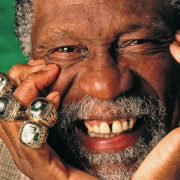 [In ’70, Brown scored 53, 39 and 45 points in the last three games of the Finals to help the Pacers to their first title.] Like MJ, Roger was endowed with a special will to win, an ability to will himself on his opponent. It’s unfortunate that guys like Kobe, Dwyane Wade, Tracy McGrady and Vince Carter could not see him play because it was special. SLAM: What other great ABA players do you think have not received their due? MD: All of us! But I’ll tell you this: James Silas [Spurs] was the best point guard I’ve ever seen in and that’s not to take anything away from John Stockton and Magic Johnson. James was right there with them. The sad thing is most of the guys who played their prime in the ABA will never, ever get the recognition they deserve. If their name was Jumpty Dumpty Mishoski and they were from Europe, they would probably get into the Hall of Fame before we will. The Hall of Fame is an absolute joke and I don’t care what hey think. It’s a sad situation but it’s their situation and they do what want to. Nothing can take away our memories or what we know. SLAM: Compare yourself to Hall of Fame centers Nate Thurmond and Walt Bellamy. MD: I would have put myself first. Nate was a tenacious defender and rebounder but I think my all-around package was a little better. I know I was better than Bells. He was slower than molasses in January. I know they would disagree and that’s only natural. SLAM: The Cincinnati Royals drafted you in the NBA. Were you tempted to go play with Oscar Robertson? MD: No. A lot of guys say they would play for nothing, but even back then when I had no idea of money, I understood that $27,500 was a hell of a lot more than $15,000. That was a lot of money and no one in my family could understand it. I remember my father saying, “They’re giving you what to do what?” He worked at Chevrolet Gear and Axle in Detroit and I think he made about $7,000, leaving home at 5:30 in the morning and coming back at 4:40 in the afternoon every day of his life until he retired. SLAM: You were an assistant coach at Indiana State when Larry Bird was there. What did you teach him? MD: Jim had a good imagination. [laughs] Hey, you had to play with an attitude because if you didn’t you would be taken advantage of and I just hated, hated, hated to lose. I was a lunatic and I knew it. My parents were at games and I was ranting and raving and my father would sit me down afterwards and say, “Your mother heard every word you said. I don’t want you cussing any more” and I would put my head down and say “Yes, sir” but next game…. I was definitely out of control, but I loved the game of basketball and I played to win and I didn’t understand anything less than that. That’s why I have a hard time with the young men of today who can’t play because they went to the dentist this afternoon. My Dad used to take me to Pacer games in the early 70’s. 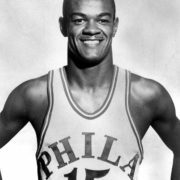 Mel was the best as well as all of his teammates…Roger Brown, Freddie Lewis, Bob Netolicky, Rick Mount, Billy Keller, Darnell Hillman, George McGinnis, James Silas, Don Buse and i know i’m forgetting a few. Almost forgot Slick Leonard. Ah those were the days. Glad you saw this and enjoyed. I’m not the only to split my love between hoops and music.